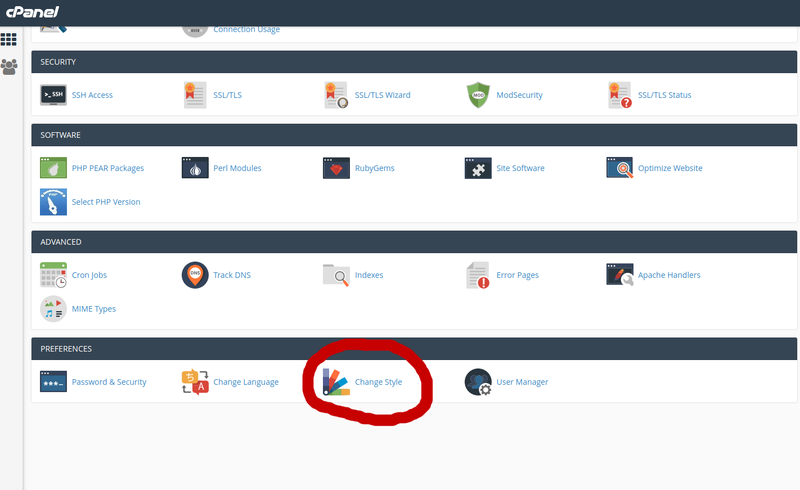 We have an option available in cPanel to change the default user interface. 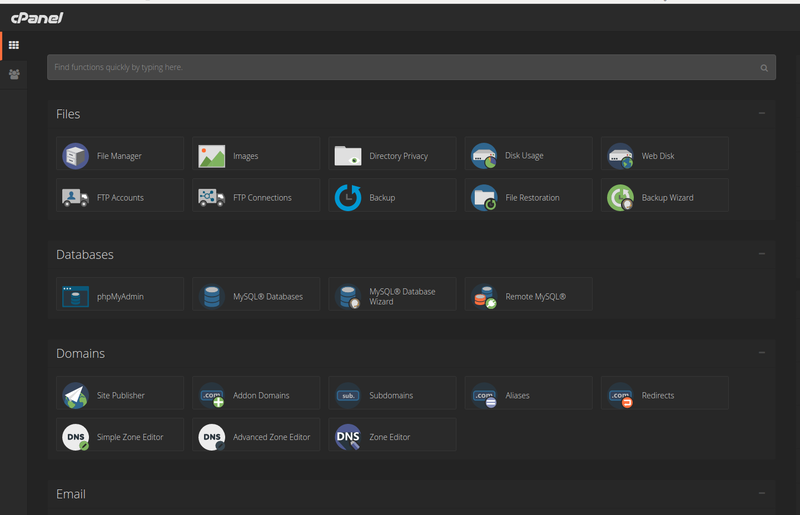 To do is, login to your cPanel Control Panel. 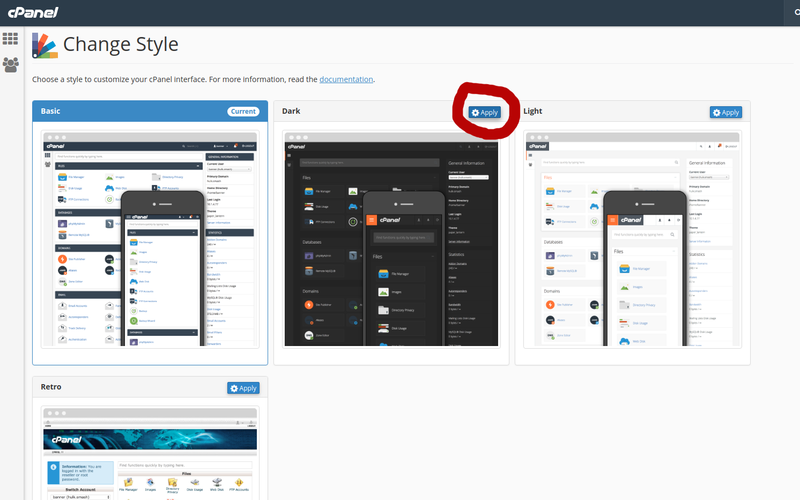 In the PREFERENCES section, click ‘Change Style.’ menu. Click on the ‘Apply‘ icon directly on top right corner of the style you want. Here I am selecting the ‘Dark’ one.